Our longest and toughest event that will test the participants to the maximum. Leadership, stamina, resilience and team spirit are required to get through this epic event. You will also be able to test more ways to move than during the other events. The MRE is divided into four phases: 1.Selection 2. Training 3. Crucible and 4. ENDEX. 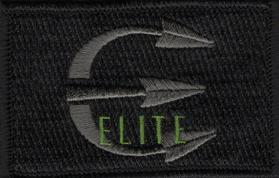 ELITE is the full experience but not an event for anyone. At least as hard as the real thing. Longer, harder and heavier - Elite not elitist. Show up well prepared. +24H MEN: ruck with 20kg plus water and optional energy bars. WOMEN: Ruck with 15kg plus water and optional energy bars.